Abelardo A. Salinas Inc. is a Licensed United States Customs Broker firm that was founded in Laredo, Texas in 1975. Our clients can be assured of excellent service supported by three licensed U.S. Customs Brokers with a combined total of over seventy five years in the business. They are: Mr. Abelardo A. Salinas, Sr., Mr.Abelardo A. Salinas, Jr., and Mr. Daniel L. Salinas. Our personnel is well qualified to attend to the individual needs of our clients. Abelardo A. Salinas, Inc. offers professional and courteous service with attention given to each and every customer. In addition to offering customs broker services, we offer full warehousing services including transfers, distribution, and inventory control. An on site truck scale assures that all cargo leaving our facility conforms to the rules and requirements of the Department of Transportation. Our warehouse is rail served with Union Pacific Railroad further enhancing our service to our clients. With offices at the border crossings of Laredo, Tx. with Nuevo Laredo, Tamps. and Eagle Pass, Tx. with Piedras Negras, Coah., our company is available to serve our customers seven days of the week. With so many years of experience, we continue to offer the best service and attention that our clients have come to expect and appreciate. Below you will find information on the three leaders of our company. Mr. Abelardo A. Salinas, Sr.
Mr. Salinas founded the company in 1975 after years of experience in the field of international trade. He has worked in the international trade business for over fifty years having obtained his U.S. Customs Brokers license in 1972. 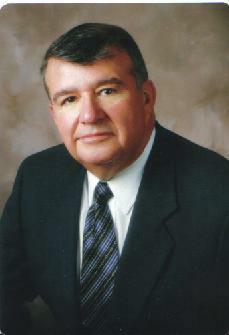 He managed the import/export department of the first twin plant or "Maquiladora" in Laredo back in 1967. Abe joined the company in 1982. Prior to graduating from Texas A&M International University in 1987, he obtained his Customs Brokers license in 1986. He oversees the daily operations of the company and is very experienced in the handling of a wide range of products from around the world. 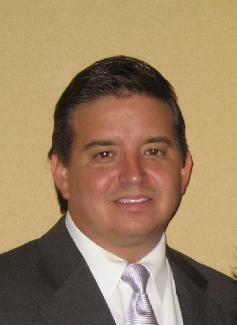 Danny joined the company in 1989 after graduation from Texas A&M University. He manages the administrative side of the business along with holding his U.S. Customs Broker License he obtained in 1994. Our office staff is very knowledgable and eager to serve you and your company.